The Cassville High School Wildcat Band competed in the Mt. Vernon Marching Festival on Saturday, September 29, and won Best Music, Best Percussion, Best Auxiliary (Color Guard), Best Drum Major and first place in their class. 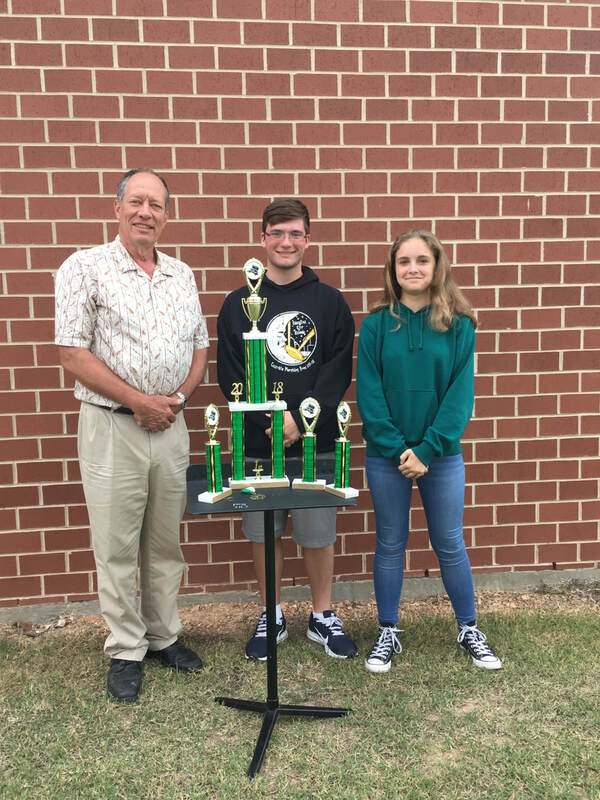 Pictured above, from left to right, is band instructor Mr. Lammers and CHS Drum Majors Nolan Crain and Tressa Hilburn.